Gregarious Narain is on vacation until the end of the month. We’ve got a couple guests lined up to join me in his absence, but this week was a little hectic so (truth) I did not have time to prep them properly, so this week it was just me, and a slightly shorter show. Would you like to join us on the show? It’s pretty easy. We broadcast live on Fridays at noon eastern for about 20 minutes. I send you a link to connect to the broadcast platform in the morning along with any show notes we’ve prepared and you log in by 11:50 am for an AV check. Sometimes you’ll be joining Greg and me, other times it is just me. What will we talk about? We are open to discussing any topic related to marketing writ rather large — digital and social media, advertising, influencer marketing, technology , but also Internet culture, consumer behavior, digital fraud, privacy, artificial intelligence. If YOU have a topic you’d like to bring to the table within that rather large brief, we’d love to build a conversation around it with you. Email me at sgetgood@getgood.com or message me on Facebook. Now to this week’s topic — consumer attitudes and trust. 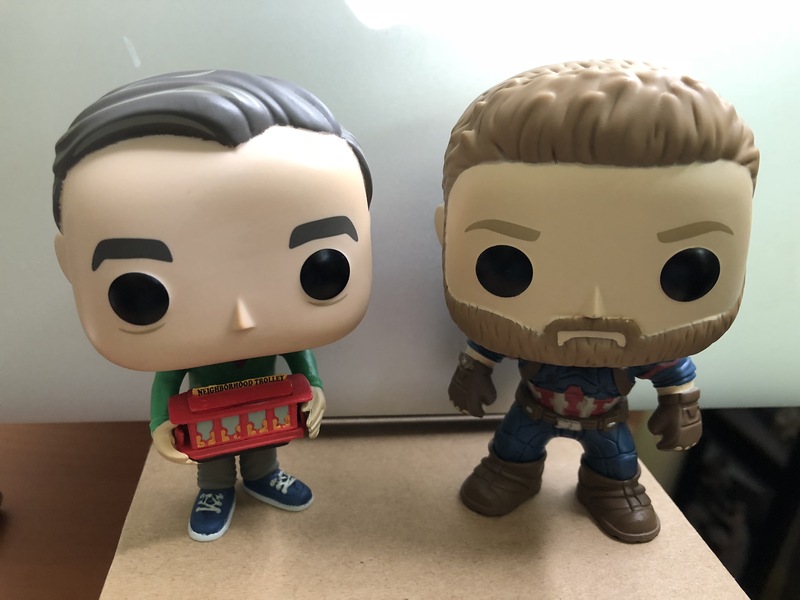 Joining me are my two guests this week, Mr. Rogers and Captain Rogers, two icons of honest integrity. I only have 2 topics this week, because both are both truth and lie. The first is that consumers don’t like or engage with sponsored content the same way that they do so-called organic content. I wanted to discuss this (again) this week after reading a great op ed in Ad Age, In Defense of the Lowly Hashtags #ad and #sponsored by Natalie Zfat. Written in response to the statement “nobody likes the hashtag #ad” at an industry panel (filled with marketers), she shared her pride in using #ad because it meant she was able to successfully monetize her content while creating valuable content for readers. This strikes a chord with me because I think treating sponsored content as a second class citizen is lazy thinking. 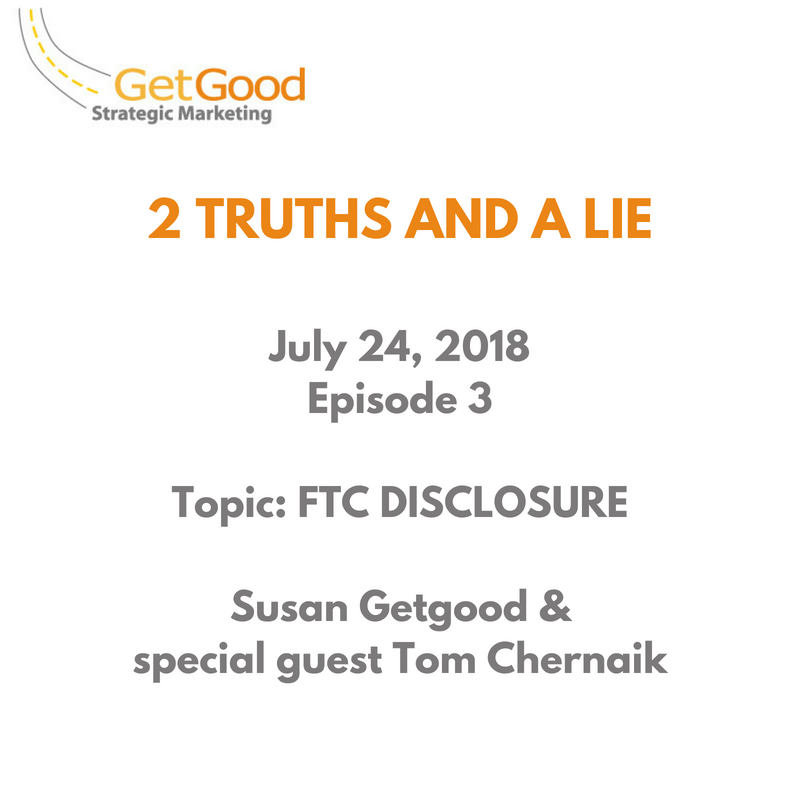 Fact: transparency and best practice would dictate that we disclose relationships that might impact an endorsement even if the FTC Guidelines did not. But also Fact: the FTC guidelines in the US and similar guidelines in other countries DO dictate that we disclose when the content we create is sponsored or influenced by payment, business relationship or free product. And finally FACT: people are not as black and white in their consumption of content as the conceit organic:good, sponsored:less good makes it seem. I have seen more than a little organic content that is AWFUL and quite a lot of amazing sponsored content. It is not that we don’t like advertising. It’s that we don’t like bad advertising. Whether an ad or a sponsored Instagram image. It is incumbent upon us as content creators to create quality content, full stop. When it is sponsored, we disclose, because it is the right thing to do. Cap agrees! On social media, there is no situation where you do not have to disclose that the content is sponsored. Not even for celebrities. The reason for this is that on social, we have none of the cues that inform us that the endorsement is an advertisement that we have in other media. When we see a celebrity on Ellen, we know she is pitching her new movie because that is inherent in the talk show format. When we see an athlete in logo gear, we assume that he or she is sponsored by the brand, because that is how sponsorship works at that level. When we see the same celebrity promote something on Twitter or Instagram, her post looks just like all her other posts, and just like all the other posts of all the other people using the platform. There are no cues to clue us in that this post is sponsored. When an advertisement doesn’t look like an advertisement, it must be disclosed. Just this week I ran across another article about celebrities failing to disclose, this time in the UK. This is one time where wishing won’t make it so. Wishing you didn’t have to disclose or inventing all sorts of reasons why it doesn’t apply to you won’t change the facts. Because it is all about trust. Right, Mr. Rogers? So, while it is true that people do treat sponsored content differently, the difference, in my opinion, is largely in the minds of the creators. If we stop assuming that people view sponsored content differently, create amazing quality content and honor the trust of our readers by being honest about our business relationships, we can be proud of #ad. This week’s other part truth part myth is also related to trust. In this case, our trust in the social platforms and websites. Axios Media Trends reported this week on Census Bureau Data that indicates Americans are less worried about online privacy, largely, the report surmised because we have become accustomed to trading it for access and services. But we are still concerned about data privacy, security and integrity. 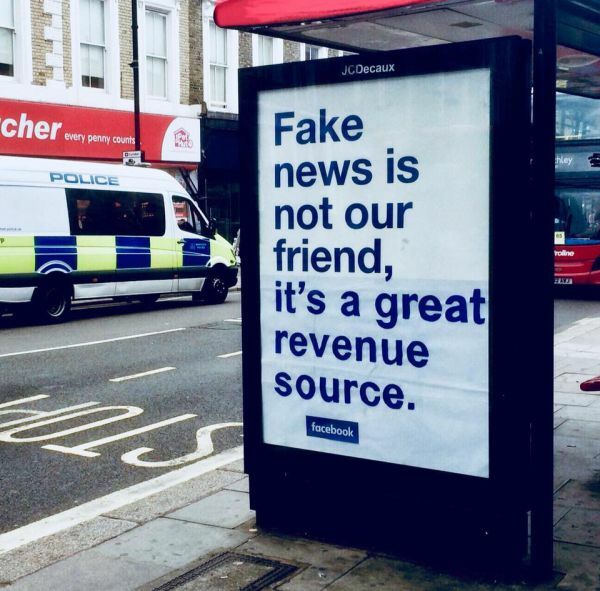 Witness the Twitter storm caused by the fake billboards in London last week. 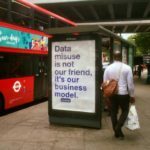 They struck a chord because there is an underlying cognitive dissonance between the value consumers perceive they get from Facebook and the value they are increasingly aware Facebook gets from them. GenZ is already replacing it, including on college campuses, with new “facebooks” coming online, also reported in Media Trends this week. I have been following the digital privacy conversation for more than 20 years, sometimes closely, sometimes less so but I am convinced we are finally at the inflection point where it matters as much to consumers as it does to advocates and geeks, and it is an increasingly informed consumer who understands that there are 3 issues: privacy security and integrity. Being willing to give up a little personal data in exchange for access is a fair trade but we are no less concerned about the protection of that data. So. The truth is Americans may be less worried about privacy in general, but it is because they have become more informed. And we are very likely still very worried about how our information is used, whether information is true and whether bad actors can breach the walls. We just are more willing to accept the risk. This week we opened the show with a brief rundown of the BlogHer Creators Summit, and then moved to the main event, our discussion of fraud, the responsibility of the social platforms to remove hate speech and meme accounts. It was my 14th BlogHer (not counting food, business etc., the offshoot shows of which I missed a few) but just the “main” summer event. The format was a bit different than past, with most of the action on the main stage throughout the day. Some of the highlights were: Christy Turlington Burns and Kirsten Gillebrand discussing maternal health and the need to VOTE, P&G exec Shelly McNamara on her experiences as an out gay executive in corporate America, Mattel’s new career Barbies and meeting Voice of the Year honoree Dr. Alaa Murabit. 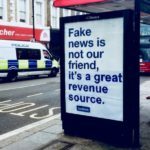 Fraud is still very much in the digital media news. Instagram fraud had the headlines a few weeks ago, and likely will again (!) but last week saw an expose in the New York Times about YouTube fraud and concerns from advertisers about GDPR fraud in the form of false consent strings. Truth number 1 this week is that if it seems too good to be true, it probably isn’t. True. Impressions, views, page views are all important starting points to understand DELIVERY but we need to focus on the engaged audience, and our results in that context. Looking at engagements instead of reach starts to counteract the fraudsters. Not completely, but a start. Artificial Intelligence cuts both ways. It is easier for the bad guys to create fake accounts and fake comments, but it is also getting easier to spot them. When we remove the suspicious activity from the results, we can look at the legit activity and engagements, for a better answer. At long last, this month the platforms began (finally) to take action against hate monger Alex Jones. Apple removed it from podcasts, Spotify, Facebook and YouTube took action, removing content and deactivating accounts but there is still a great deal of inconsistency within the platforms. And Twitter did nothing. Truth #2 is that while we should be grateful for less Alex Jones on the Internet, we need to hold the platforms accountable to do more. Any action by the social platforms to reduce the volume of hate speech and lies by bigots like Alex Jones is a GOOD thing, no matter how excessively long it took them to get there or how incomplete the response. There is LESS Alex Jones on the Internet today and for that we should be grateful. But…. it did take far too long and we must hold them accountable. They do not get a pass on resolving the inconsistencies among their different services. In the SNCR fake news survey last fall, marketers said that platforms had a responsibility to resolve the problem of unsafe, untrue content. Part of the response must include clear consistent policies across all services and enforcement thereof. 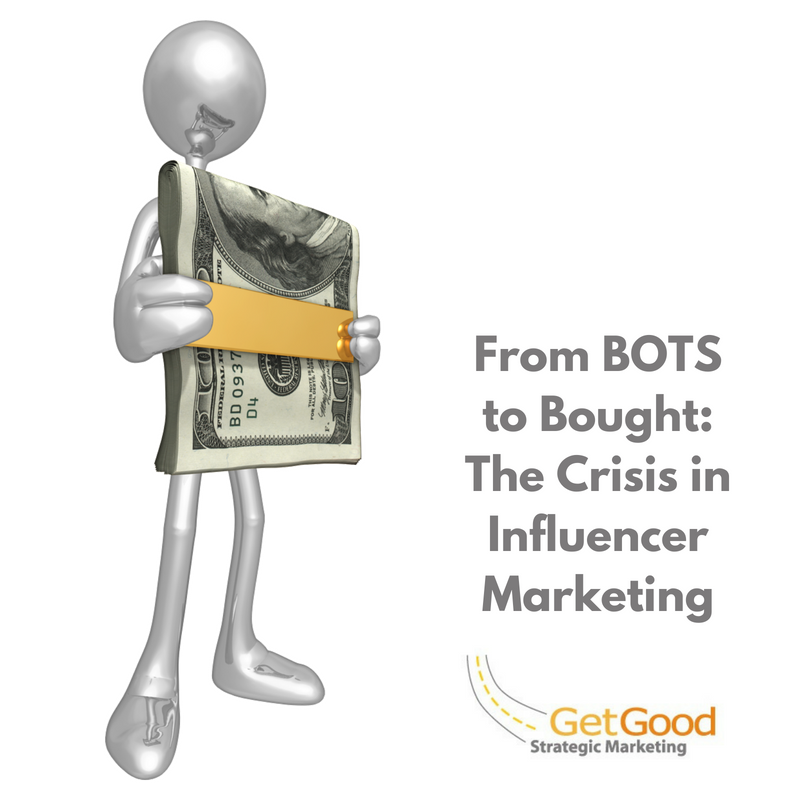 Bots and Meme accounts can replace authentic influencer content, and since they are much easier to control, are a good alternative to customer activation. No, no, a thousand times no. If you want to make a SOCIAL BOT or use chat BOTs in your strategy, that is a legitimate choice, and can be very successful, but be honest about it. If you are mimicking actual human SOCIAL engagement, the consumer deserves to know she or he is chatting with a bot. It won’t matter to many, especially Gen Z that is already so accustomed to engaging with digital avatars. But they should be informed. As far as memes go, by all means use them. They are a crucial tool for earned social shares. But don’t think meme accounts can replace the voice of your customer as an influencer, not just a re-share. Use them alongside influencers but not instead. When I started pulling together the posts for tomorrow’s episode, I realized I never posted the August 2d one. So, here it is, very late, but oddly the content is still timely. 2. Influencer platforms are rushing to release their “fraudometers” to show the integrity/quality of their networks. We discussed some of the models, but there is no standard for this. Everyone’s just applying their own opinion, whether human or machine derived, to define “fake” follower. In the end, it is also the wrong question. Understanding the fraudulent followers is an exercise to tick off a box. What we really want to understand is what percentage of an audience engages with the content, and then if we are a brand, what percentage of THAT engages with us. Brand Safety is a myth. You cannot control all aspects on digital and social. You can get closer with advertising with ad tech tools and things like ads.text, private marketplaces, and guaranteed programmatic, but on social media? People are messy. You can’t control the comments or reshares and sometimes even your influencers go off script and do wacky stuff. Think PewdiePie and Logan Paul. 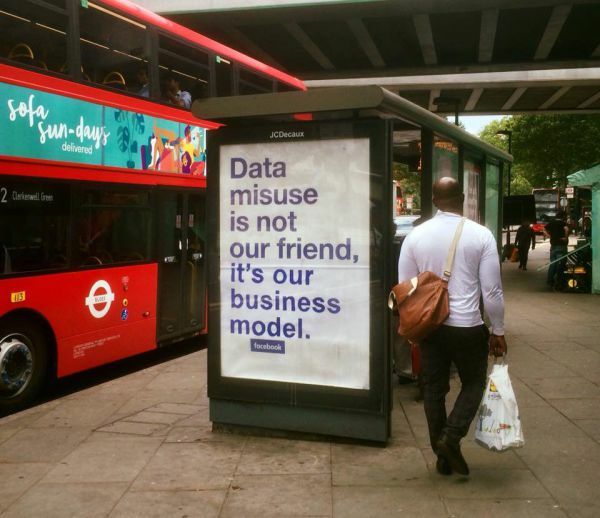 On social, relationships are the keys to brand safety. Tom Chernaik, the CEO of CMPLY, Inc. joined me as our guest on Two Truths and a Lie this week. Greg Narain was traveling and could not join the conversation. 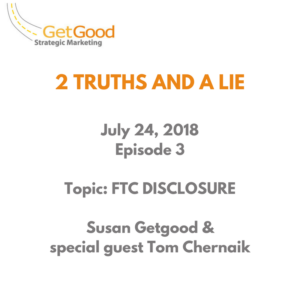 We dropped some truth about the FTC disclosure requirements and hopefully dispelled a few myths. Please forgive some of the technical difficulties at the beginning of the episode. It was our first program “on location,” I got a little lost on my way to Tom’s office downtown (I ALWAYS GET LOST BELOW WALL STREET) and in my rush to start on time, I forgot to plug in the Blue Yeti mic. Hey, it’s live, right?? For more than 20 years, Tom Chernaik has worked with leading brands focusing on innovation and insight in marketing, law, social media, privacy and big data. With a vision for addressing marketer concerns regarding compliance, Tom launched CMP.LY in 2009. He grew the company – rebranded as CommandPost – into the world’s leading social media disclosure solution and expanded the offering to include cross-platform social media measurement of audience and engagement. CommandPost was named a Gartner “Cool Vendor in Social Marketing” for 2015. Tom holds multiple patents for his work developing innovative solutions for monitoring social network content for compliance, measurement and activation of offline processes. His work in the areas of disclosure and privacy has bridged the gaps between policy and practice with practical technology solutions. Prior to launching his company, Tom spent more than 15 years in leadership and marketing roles for leading entertainment and media brands including XM Satellite Radio, All Indie (which he co-founded) and Gotham Records. He holds a BA in Liberal Arts from NYU and a JD from Yeshiva University’s Cardozo School of Law. Tom was also the Co-Chair of the Ethics Committee at the Word of Mouth Marketing Association from 2011-2017. 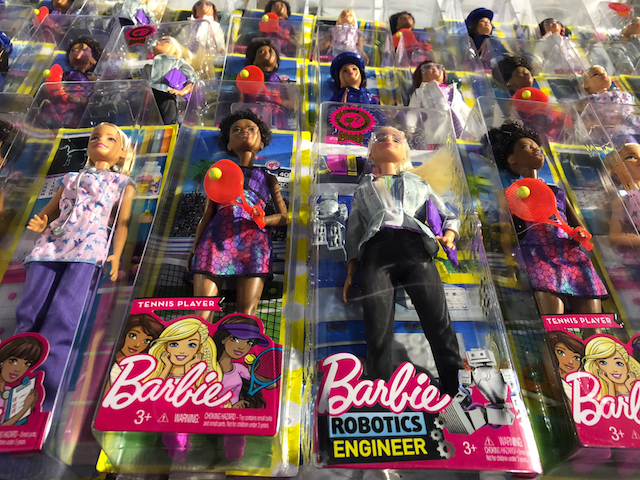 For more posts about the FTC Guidelines, please review the FTC Category and the Ethics Category in the archives. 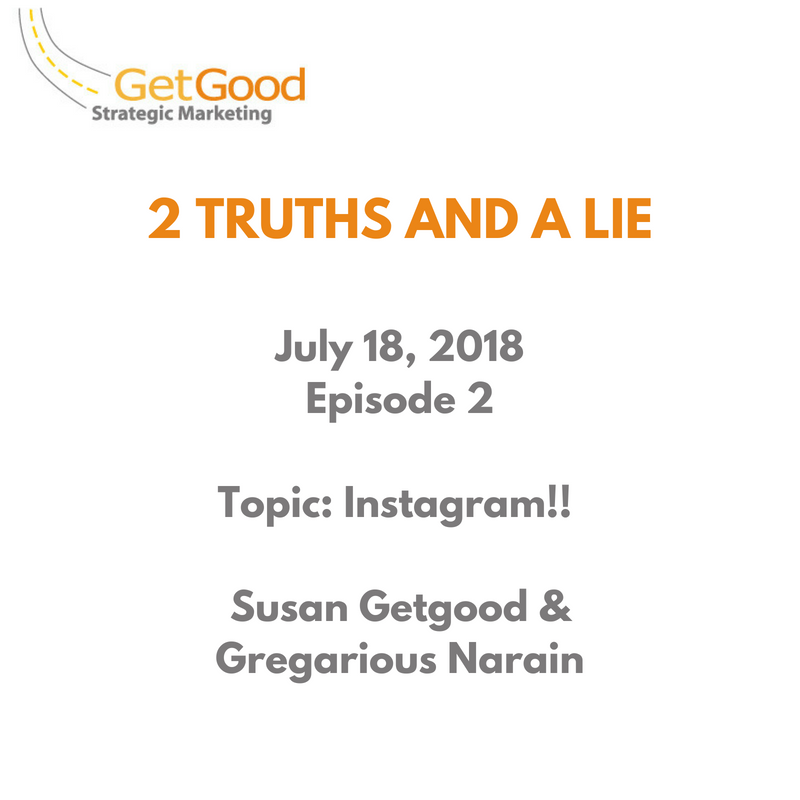 In episode 2 of Two Truths and a Lie, we talked about Instagram. Instagram is the most popular platform in many, but not all, markets. EMarketer reported this week that its “rising popularity for influencer campaigns goes hand in hand with the platform’s strong user growth, as marketers tend to go where their customers are,” but in some countries/areas, other platforms are as or more popular. Instagram’s popularity has also lead to some crazy and unsavory behaviors — from people getting killed or injured for the sake of a photograph (just recently a woman was bit by a shark just to get a photo) and more than a few people have fallen to their deaths from buildings, mountains and waterfalls for the sake of a selfie, to fraud — bought followers, fake followers, buying engagement to boost the numbers. We tried to get some perspective in our conversation. Truth — Platform should always follow purpose. Just because Instagram is growing in popularity, doesn’t mean it is the ONLY platform for influencer engagement. In some countries, it lags behind other platforms and tools, and even in the US, it may not be the best place for your program, depending on your goals and content. doing your due diligence about the influencers you are working with, and evaluating whether they truly have influence on the topic, whether they have the right audience for your offer or product. developing tasks and storytelling opportunities optimized for the platform. Don’t just use Instagram Stories — think about how to use them effectively, natively. And honestly, don’t use things like Stories (that disappear) without some other more permanent social storytelling to supplement it. Truth — Reach is a delivery metric, NOT a performance metric. In order to understand the performance of Instagram influencers, we need to look at engagement with content, not just reach. Our metrics tools of choice — whether platforms like Hootsuite, Sprinklr et al, influencer platforms or simply spreadsheets into which we record data from our influencers — can’t be satisfied with just reporting and rewarding reach. We need to look at impressions and at a minimum engagement rates — what percentage of the followers engaged with the content. Metrics are complicated by the way Facebook and Instagram are set up — personal profiles have relatively little in the way of metrics, whereas business ones are relatively rich. This is less of an issue for businesses’ owned social accounts, since they were likely set up as business accounts, but influencers — especially ones that have been around for a while or who don’t want to use Facebook Pages (for whatever reason) run into complications with this. As an example, if you want to convert your Instagram to a business profile, you need to link to a Facebook business page. If you don’t have one, you need to make one. This is a personal bête noire since I have a personal profile on Facebook, and never really bothered with a page, even for the business, because I largely use LinkedIn for professional posting. I’ve now got a “stub” page for my business, solely for the purpose of converting my Instagram to a business profile to take advantage of the richer native metrics. Your takeaway from all this? 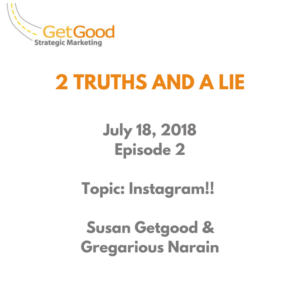 Make sure your Instagram influencers are using business profiles so you can get the rich data available on the platform. You should already have limited your Facebook programs to influencers with verified pages using Facebook’s branded content tools to post. Expect that whither goest Facebook so too shall Instagram. Also – do not compensate based on reach. Start moving toward results oriented compensation models. Myth: “Organic” social content is better than influencer marketing because the person sharing it wasn’t compensated for his/her work. It truly comes from the heart. We wouldn’t have all this fraud and problems in Instagram if it we weren’t paying people to post. That is a load of organic material. Because advertisers WOULD — in the pursuit of scale — pay people to post. They just wouldn’t disclose it. Which is why we have the FTC Guidelines for Advertisers in the first place. Think about the Lord & Taylor dress debacle of a few years ago. The truth is, there are very few brands that can incite excitement at scale without priming the pump in some fashion. Apple. Harley Davidson. Star Wars. Marvel. And THOSE brands invested deeply in the development of their communities from GO in order to have the natural fanbases that they do. Boost the best performing content. We ended with some personal advice: You don’t want to be the Darwin Award winner in the Instagram category. Always exercise caution when creating your masterpieces. You matter more than a like or share. POSTSCRIPT: IMO a well-rounded strategy uses at least 2 types of content or platforms to reach the intended audience. Don’t JUST do Instagram, no matter how hot it is. Diversify into at least one other avenue to reach your consumer on social. I also think it’s critical to set a baseline, especially for awareness oriented programs, using a pre-campaign / post-campaign survey or brand lift study. 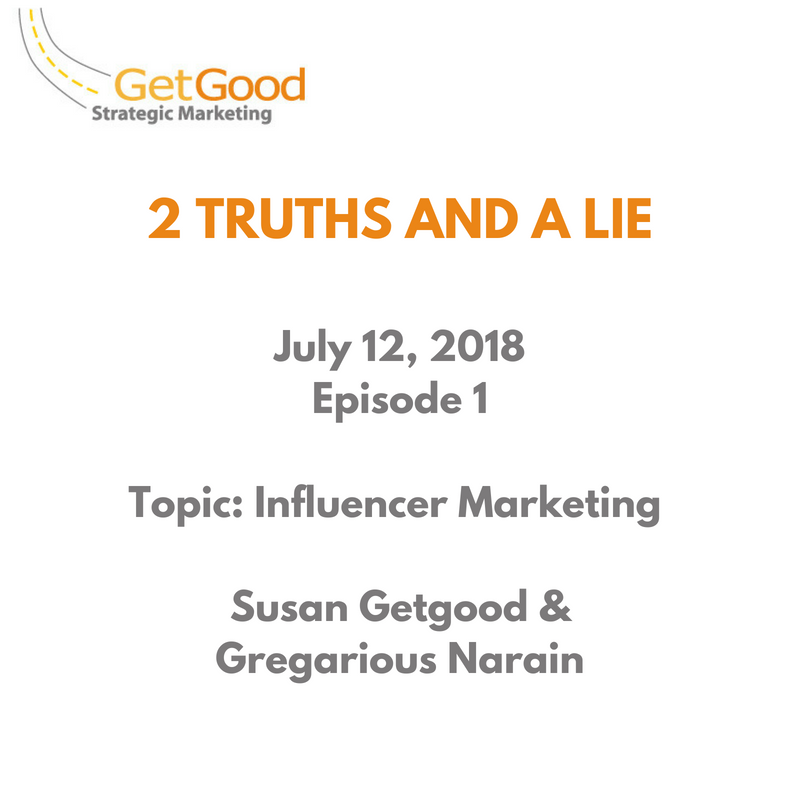 Last winter, I recorded two video workshops about best practices in influencer marketing for genconnectU, a course for Brands, Tapping into Social Trust, which was released in late May, and for influencers, Charting Your Path, which is available now. A reality about making a course that includes tech is that anything too specific about platforms or tools will always be overtaken by changes in the marketplace. 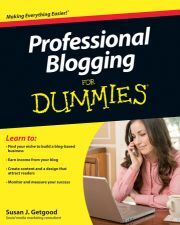 For example, when we recorded the courses, Klout was still in business and Google called its advertising products AdWords and AdSense. This is why I focus on strategy, process and tactics rather than specific tools in my courses. Even though things have changed in the marketplace, the best practices have not. 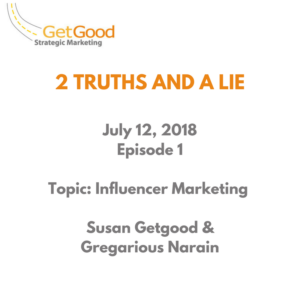 In addition to the video lessons, there are additional materials in both courses, including a Scope of Work outline in the course for brands, and Guidance for Setting Rates in the course for influencers. If you use the code Susan10, you can save 10% off the list prices of $119 for the Brand course and $29 for the new Influencer course. Today, Digiday published the confessions of a former influencer describing widespread fraud in the influencer marketing space, focusing largely on bought followers on Instagram, where influencers regularly amassed followers literally overnight in order to compete for coveted fashion and beauty deals. All to meet the demand of advertisers and their agencies for scale. Reach was the de facto result. This is absolutely 100% true, I have no doubt. It’s also not influencer marketing. We have to be REALLY careful to not throw the baby out with this admittedly nasty AF bath water. As I wrote last week, this fraud — and it is fraud — stems from the ad industry’s relentless pursuit of scale without a similar commitment to authenticity and performance metrics. Influencer marketing works because it is human-centered, and humans beings don’t scale neatly with algorithmic and predictable precision. In the 90s, anthropologist Robin Dunbar theorized that humans can only sustain a limited number of stable social relationships; 150 is commonly cited as the upper limit. While modern communication has changed how this dynamic works, as we are able to move more fluidly from group to group, online and off, and may participate in multiple networks of people with whom we share common interests, we should always keep Dunbar’s number in mind when thinking about how influence works. The ripple effect of a recommendation matters just as much as the initial impact. Much harder to measure of course, but just because something is hard doesn’t mean we should not strive to do it. Influencer marketing done right is building relationships with customers over time, who serve as the advocates for your brand to their friends, fans and followers. You know and trust them. Their audience knows and trusts them. You work together to achieve a common goal. Kumbaya and all. Influencer marketing works because we do move in and out of different groups online, and when we share a recommendation from one into another, we form a ripple on the pond. What’s been missing is way to independently assess the audience of influencers to verify that they do have the right audience. Independent of and across the platforms, independent of the agencies. It’s challenging, and even more so if you respect individual privacy rights. I’m working on some things in this space. More to come. In the meantime, the best approach is to understand that the best results from influencer marketing don’t come from scale. They come from trusted relationships over time. The other issue exposed in the Digiday Confession is poor measurement practices. Reach is a delivery metric. It tells us whether we executed our social tactic successfully. It is not a performance metric. Performance is engagement with content, and your objectives dictate whether you are working toward likes, shares and comments, or driving all the way down the funnel to conversion. Reach is not a result. The Digiday piece also shared that boosting posts, at least in this confessor’s situation, was just as fraudulent, reaching folks not even remotely in the audience target purely to shore up the numbers. This is just straight up bad practice. Boosting posts simply to increase the reach is a waste of money. You should ONLY boost your best-performing content, the content that is getting verified engagement, to expose it to a larger or different audience. Do not boost your turkeys. Let them fade away. The other article that caught my attention this morning was a piece on CNN about Lil Miquela, an influential CGI (computer generated image) that amassed quite a following before it was revealed that she was a CGI. My opinion? If CGIs advocate for brands and someone is compensated for the endorsement, it is advertising, straight up, and should be disclosed. Ethically, I think it should be disclosed even if they are not doing brand or cause related work, because they are a construct, and consumers should know. Personally, I’m not sure I love the idea of people modeling themselves after, being influenced by, robots, but as long as it is fully disclosed as CGI advertising, I don’t see why brands shouldn’t have the option to use CGI tools to deliver their message. They can dictate the message and don’t have to worry about the opinion of the CGI. Likewise if they use BOT accounts to manage message flow or respond for the brand in place of human CSRs. It’s okay as long as you tell people they are engaging with a BOT. 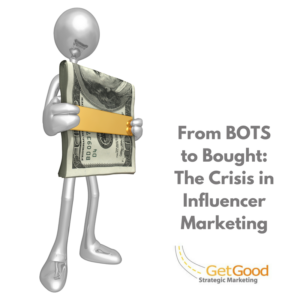 But CGIs and BOTs are not influencer marketing. They are simply innovations in advertising.